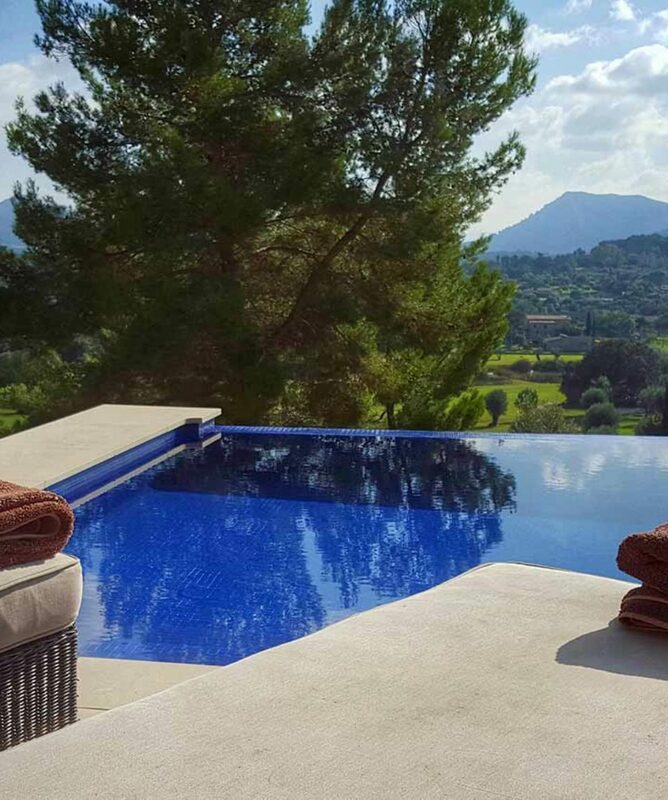 View cart “Luxury Cycling Holiday, Mallorca Signature, Spain – May 2019” has been added to your cart. 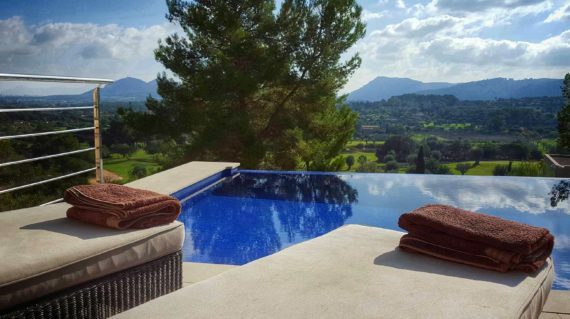 This signature trip was the founding trip of Velusso, encompassing total off-the-bike luxury, from home cooked meals prepared by your own Villa Host, a lift to take you from the kitchen to your bedroom and private infinity pool overlooking spectacular surroundings. On the bike, you’ll have a Velusso Ride Leader picking out the best routes and a current or former professional cyclist, who will ride at your pace, while telling you tales from the pro peloton and providing you with tips to make the most of your riding. 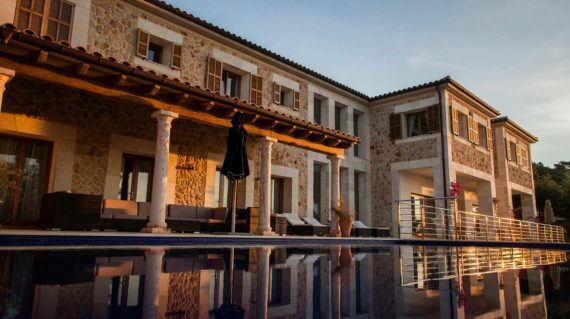 Handpicked from the best properties in Mallorca, the Velusso Golf Villa has been selected for its luxury and practicality, as the epicentre of your flawless experience. Situated on the golf course and close to the old and historic town of Pollenca. 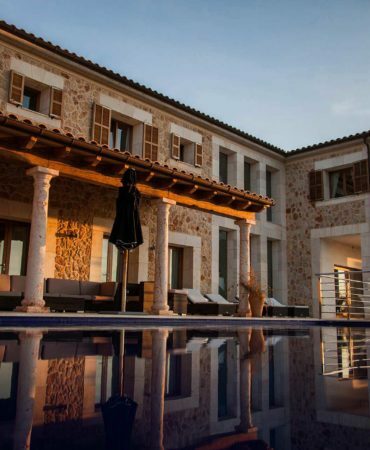 The villa enjoys breath-taking views, a spacious living plan and covered terrace. The very best materials have been used throughout the property along with priceless works of art and designer furniture that by themselves are worthy of exhibition. This isn’t your average holiday. Pros know that after a ride a staircase just isn’t practical. Store your bike with the support vehicle in the concealed garage, then take the elevator up to the villa to begin your downtime. The ultra-modern kitchen has been designed with fine dining and convenience in mind and is perfect for the riders’ in-house Villa Host to cater for large groups. The property comfortably sleeps between 5-10 riders, depending on occupancy preferences or for those travelling with loved ones and sharing a room. What type of cyclist will enjoy a Velusso experience? If you enjoy cycling and get out on your bike at the weekends then you’ll love a Velusso experience. Perhaps you’ve entered a cyclosportive and follow a basic training plan? The Velusso experience will be something new. This is an opportunity for everyone to further their cycling knowledge and enjoy some great riding in stunning locations. If the range of fitness level and ability differs in one group, we will make suitable arrangements and may recommend specific trips. We simply ask you to assess your own capabilities and specify whether you’d like the routes to be made more or less challenging. Each ride itinerary can be tailored to suit the preferences within a group. Our rides are designed to allow you to push your individual limits at certain times. An example of a route we use includes an easy flat start, followed by a 20 minute climb where riders will naturally split up before regrouping at the top (probably in a café). The remainder of the ride will depend on the type of route and terrain, however we encourage an endurance focussed pace which is enjoyable for all.